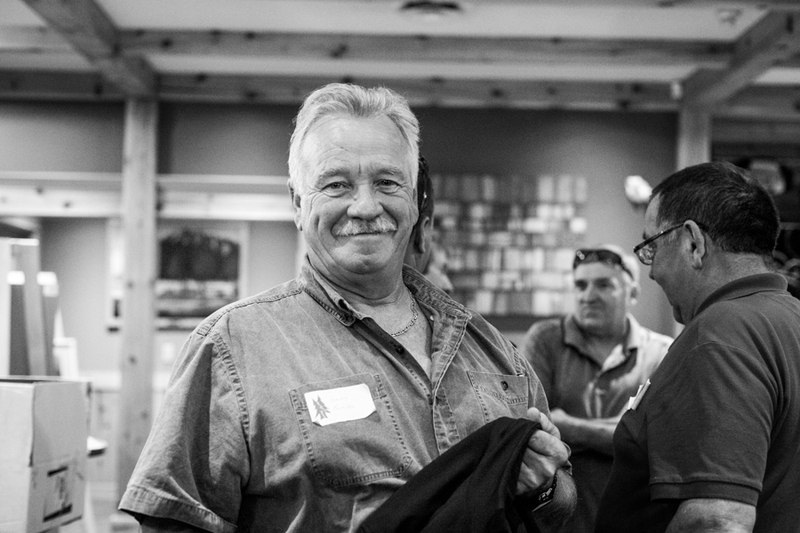 Jerry Mohs, valued employee since 1990 sadly passed in May. New maintenance building completed at Pemberton Industrial Park. Transmission line clearing was completed for the majority of the Upper Lillooet River projects including clearing on Douglas First Nation Territory. This was a three-year project which included building access roads and a portion of distribution structures. Completed building of new 50' x 80' maintenance building on site at the Pemberton Industrial Park. Long time employees Terry Arsenault and Gary Poirier retired. Jerry Mohs worked for Le Blanc Bros. Logging off and on during his high school years and began working full-time as an equipment operator for Lizzie Bay Logging Ltd. in 1990. Illness forced his retirement in 2010 and he passed away in May, 2016. In 2015 completed construction and installation of Eco Depots in the communities of Skatin, Samahquam and Tipella. These are recycling drop-off depots for paper plastic, cardboard, aluminum, tin, glass and styrofoam. 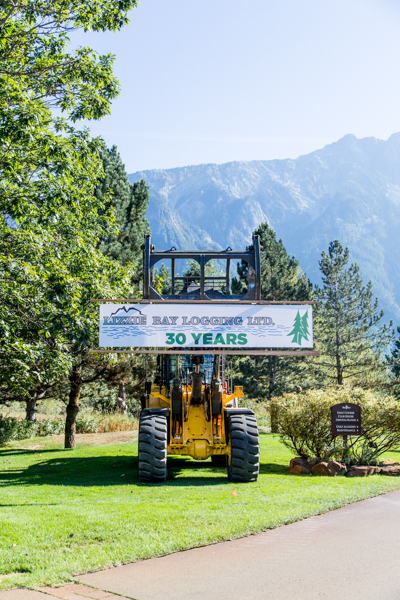 Lizzie Bay Logging LTD celebrates 30 year anniversary..
Norm’s father Peter Le Blanc and uncle Chuck Le Blanc established themselves in Pemberton in the 1960’s. Norm mucked about in the bush as a child and in 1984 struck out on his own and began his own logging company. More than 200 people attended the event, with guests from the forest industry, farming community, fellow logging company colleagues, various suppliers, family, friends and employees past and present. Key speakers were partners Inshuck-ch Nation Chief Negotiator Gerard Peters, and Lucinda Phillips, Chief, Lilwat Nation; Jordan Sturdy MLA spoke, as well as Susie Gimse, Director Area C, SLRD, Dave Southam, Squamish District Manager, Ministry of Forests and Dave Miller, Forestry Consultant, retired Division Manager from Interfor. Three Lizzie Bay Logging employees were honoured for more than 20 years of service: Dave Stennitt, Gary Poirier (above) and Terry Arsenault. Three employees were honoured for more than 20 years’ service: Dave Stennitt, Gary Poirier and Terry Arsenault.